D.R. Horton Builders has purchased lots in two communities in the Statesville and Troutman areas. The first is Martha’s Ridge, located by the Signal Hill Mall in Statesville. They have 22 lots that are available for buyers and 5 floor plans ranging from 1654 s.f to over 3000 s.f. and prices starting in the low 130’s to high 180’s. There are only 2 story plans available and annual HOA dues are only $240. The community does not have amenities on site but the community is located right down the street from the new Statesville Fitness and activity Center and Statesville Soccer complex with entry to the greenway. There is no model home in the community to preview but there will be one at their other community in Pine Forest that are the same models offered in Martha’s Ridge. Pre-Grand Opening Specials are now running that offer the first 3 buyers $12,500 in FREE Design Center Options. This community is conveniently located just off I-77 and I-40 and close to shopping centers and schools. Schools will be East Iredell Elementary and Middle and Statesville High School. The second community D.R. Horton is building in is Pine Forest. This subdivision is located just off I-77 at Exit 45, directly across from the Fox Den Country Club. They have purchased 48 lots in this community and will build 7 models here including one ranch style model. Prices start in the low 150’s to the low 200’s. Annual HOA dues will be $240. The same Pre-Grand Opening Special also applies to this community. The model home for both communities will be build here for buyers to preview. Once buyers have selected a home for purchase, you will go to the design center in Charlotte to select your materials and colors for your home. When visiting the community, please be sure to have your buyer’s agent with you before discussing any details with on-site sales representatives. About DR Horton: Donald R. Horton began his own construction business in 1978 in the Dallas/Fort Worth area. In 1987, D.R. Horton began expanding its operations by seeking out the nation’s most active homebuilding markets. Since 1987, the company has geographically diversified into 85 markets and states across the United States. D.R. Horton also provides mortgage and title insurance services in many of its markets. Blaring horns, traffic lines several miles long and a concrete jungle are a few things you will not find in Troutman NC. What you will find is is a small quiet town with one main road going right down the middle of it and a winding walking trail for visitors and residents to enjoy an evening stroll. What you also find is Falls Cove Subdivision. This beautiful community sits just out of town. Lake Norman is within walking distance and shopping is just a few miles away. Falls Cove sits in an area of over 900 acres of forest land and will have 740 homesites availble for homes. Lots range in size from 1/2 acre to over 2 acresl and start around 70K. There are 20 custom home buildiers available to build your dream home! All homes are “Southern Artisan” syle which is a adaptation of the Craftsman and Arts-and-Crafts syles of homes. Styles and colors of the current homes reflect the calming feel of nature. Each homes blends in with its surroundings and creates a calming, eye appealing picture. Currently there are several homes ready for occupancy and some Ready to Customize. Prices start in the high 400’s. Each home has at least 4 bedrooms, and over 2800 s.f. with 3 car garages. The finish details and well thought out floor plans will impress. If you choose to have a custom home built for you, you can purchase your lot today and build when you are ready. There is no time limit to start construction. Amenities: Falls Cove will offer a 10 acre amenity park and will feature a pool, tennis courts, playground and nature trails as well as a commity activity center with a full-time activities director. Just down the street is the Lake Norman State Park offering recreational opportunities such as a beach and pavilion, boat launch, bike and walking trails and camping. There are several marinas in the area to launch and store your boat. Lake Norman offers over 500 miles of shore line to enjoy (that should keep you busy for a while)! The community is served by the Troutman Elementary and Middle and South Iredell High School. There are also several Private School options available not far away. Homeowner dues will be approximately $1400 per year. The community also offers email updates to all homeowners to help keep you up to date on what is happening in your community. In this day and age, we all long for a simpler way of life. And that is exactly what you will find at Falls Cove, Crescent’s new community of luxury custom homes in the quaint town of Troutman, North Carolina. Residents enjoy a slower pace of life, lower taxes and good schools. So, what are you waiting for? Come on out and take a look. I would love to take you on a tour this wonderful community! I have several of the floor plans and background information of builders available in my office for your review. Check out the current inventory of available homes in Falls Cove, you will love what you see! Statesville NC Real Estate, Statesville NC Sonya Leonard of Exit Home Team Realty is your local real estate expert in Statesville North Carolina. Specializing in working with buyers and sellers of Residential homes and land. The Statesville Real Estate Guide provides free access to individualized home searches for all homes in Statesville, Mooresville, Troutman, Lake Norman and the entire Lake Norman Area. Explore buyer and seller reports, community resources, new home communities and be sure to sign up for your personal home search. 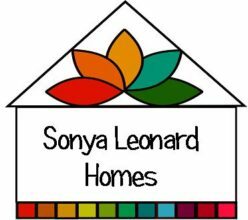 Let Sonya help you INVEST in Real Estate and you Future!